Parker grew up in Tulsa, Oklahoma. He graduated from the University of Colorado at Boulder with a Bachelor of Science and a Master of Science in Accountancy in 2001. Parker started his career in the Denver, Colorado and Portland, Oregon offices of PricewaterhouseCoopers LLP, a Big Four accounting firm. He became a licensed Certified Public Accountant in the State of Colorado in 2004 after passing all four parts of the exam in one sitting. In 2004, Parker moved to Ridgway, Colorado for the mountains, serenity and quality of life. Parker and his wife Aimee started their own accounting practice in 2005. Parker enjoys using his education and experience to provide value added services that help individuals and small businesses minimize their tax liability and maximize their bottom line. 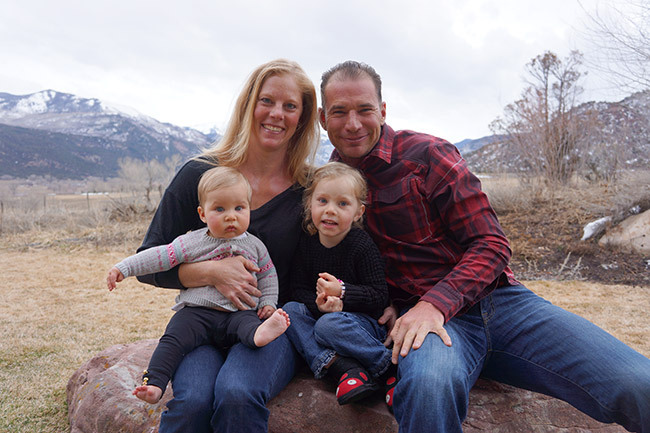 In his free time, Parker enjoys spending time with his daughters Piper and Madeline, hunting, hiking, kiteboarding, mountain biking, snow kiting, backcountry snowboarding, surfing and traveling. Aimee grew up in Golden, Colorado. She graduated from the University of Illinois at Urbana-Champaign with a Bachelor of Science in Accountancy in 2001. Aimee started her career in the Denver, Colorado and Portland, Oregon offices of PricewaterhouseCoopers LLP, a Big Four accounting firm. In 2004, Aimee moved to Ridgway, Colorado for the mountains, serenity and quality of life. She became a licensed Certified Public Accountant in the State of Colorado in 2005. Aimee and her husband Parker started their own accounting practice in 2005. Aimee enjoys using her education and experience to provide value added services that help individuals and small businesses minimize their tax liability and maximize their bottom line. In her free time, Aimee enjoys spending time her daughters Piper and Madeline, hunting, hiking, kiteboarding, mountain biking, snow kiting, backcountry skiing, surfing and traveling.